One Protector, wounded and broken in spirit in the ensuing massacre, spends decades searching desperately for the reincarnations of his loved ones. But his Seer's Eyes have been blinded, so he cannot recognize their auras. He meets a Crusader in Egypt who might be his reincarnated wife. To be certain, he must taste the young knight's blood to read his past-life memories. However, this act uncovers a deadly secret that rocks the foundations of his world. How could it have been worse? The story is from a male perspective and should have been read by a male. The narration is blasé and it appears the narrator hasn't read the book, or still does not grasp the feeling of the book as she reads. As my friends commented, the narrator sounds like an airplane voice over.Please have the book re-read so readers can enjoy a wonderful story. 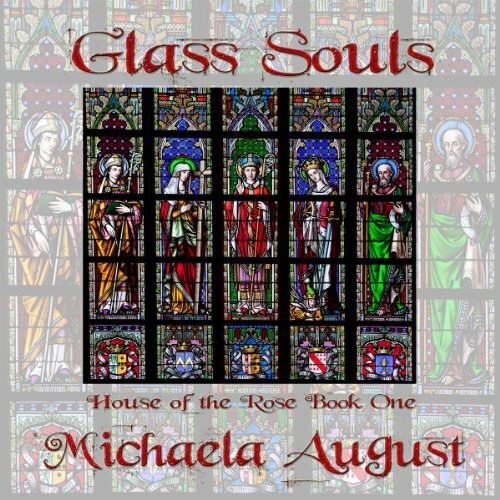 Do you think Glass Souls needs a follow-up book? Why or why not? Yes! We are left hanging on a cliff. The story is fabulously written with intriguing characters that draw you into their world and hold you there. Engrossing. Story has potential to be really good, but the narrator is simply too awful! I've had to listen at 1.5x narration speed, just to get the pace at a normal reading speed. Her inflections are terrible and the cadence of her reading is just plain awful - makes it difficult to figure out punctuation and whether she is at the start or end of a sentence! Such a bad narrator makes it really difficult to follow what really is a good storyline - too jarring. Would consider buying the book as an ebook, just to be able to read and enjoy the book.